(*)Text between parenthesis is drawing symbols below! 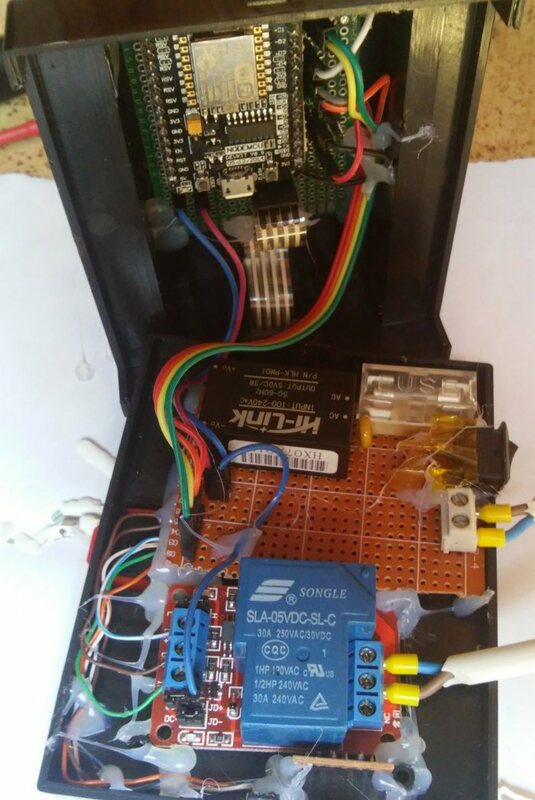 - 2 or M: set relay ON for specified time in minutes (MANUAL ON MODE), after timeout, mode switch to "A"
- thermo,setpoint,[target_temperature] Target setpoint, only used in Mode "A"
The code above makes it possible to use it's own AM2320 settings as default or if nothing sends to it a remote update. Thanks! It could not have been created without ESPEasy! And of course without Plugin_036, which is the base of this one. Thank you. I have motion sensors nearby and Domoticz switches the OLED display off when no motion for 15 minutes, than switches to ON if motion occurs. 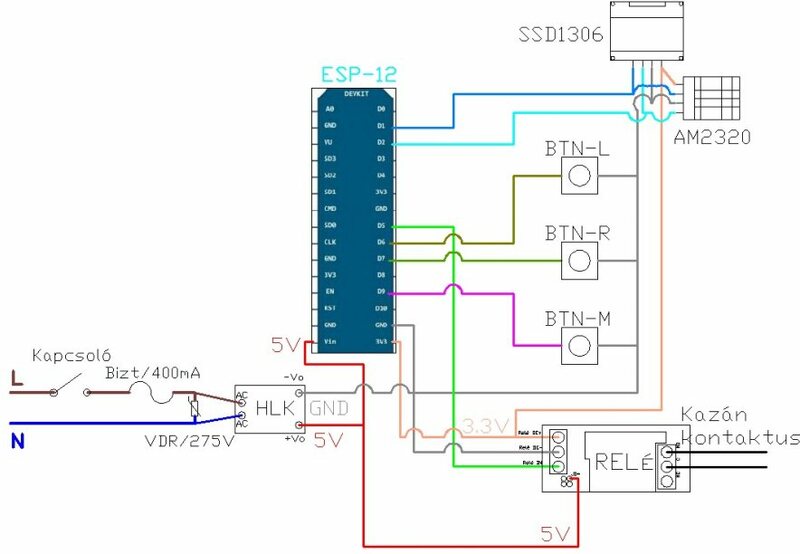 How to I need to connect it and get readings for that? but do not get readings for it. And D1/D2 is the default I2C pins as you surely know. 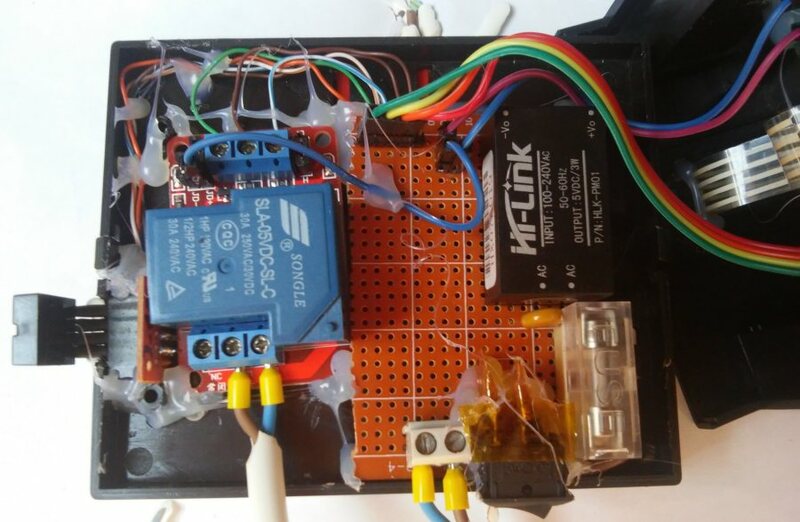 - Can we use as temperature sensing device also a BME 280 ? Or is it easier to do this with Domoticz ? It is very easy schedule temperature setting from Domoticz. When I was planning my heating regulator, I imagined a similar sophisticated device with a display and buttons. But the circumstances forced me to make the quick fix, that I have achieved with ESPeasy and Domoticz. 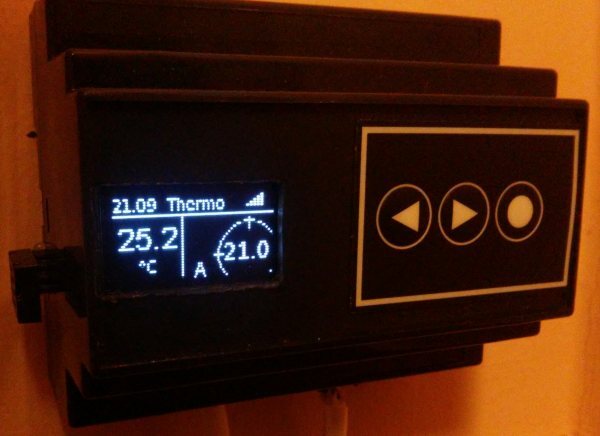 And now almost after two years of operation, I see that it is fully enough to control the heating in my house. The regulation is performed by ESPEases itself by means of rules and setting of parameters and passing of results (display of temperatures, consumption report, planning, etc.) is ensured by Domoticz. The display and buttons on the regulators do not miss me, even though I'm thinking about displaying some information - like outside temperatures on some of the visible regulators. Now I have regulators built on Sonoff Basic with ESPEasy v2.0 and everything is much much faster. You can use any temperature sensing device, that ESPEasy supports. Local temperature sensing is a last resort for me, as i have temperature sensors in EVERY room, and Domoticz sends the actual temperature data to the thermostat. 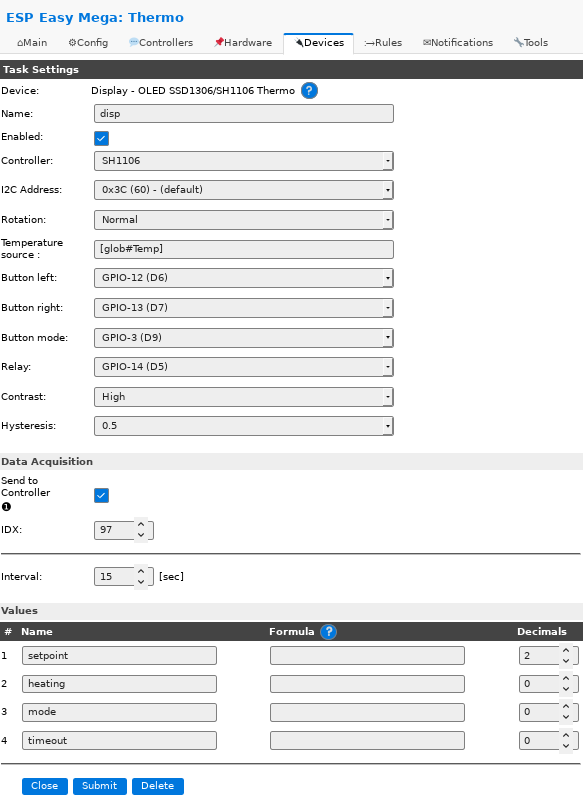 (motion sensors helps Domoticz to decide which room needs to be monitored) - This is why i am implemented "Temperature source" setting in my plugin, which can be even a Dummy, for remote management.